Even though she’s due any day now with her first son, Jessica Simpson is still maintaining her sweet and simple maternity style. The key to her chic looks: easy silhouettes (think maxidresses, kaftans, tees and stretchy pants) paired with simple yet chic accessories. On Saturday, the mom-to-be stepped out in Camilla‘s Dream Merchant Lace Up Kaftan ($565), a pink printed straw bag, sunglasses and jeweled flip flops while running errands in Santa Monica, Calif.
Love her beautiful beach-ready mix? You’re in luck! We’ve rounded up similar items – all under $190! These flowy tunics may have been created as swimsuit coverups, but they work just as well for lunch with friends or a shopping trip. 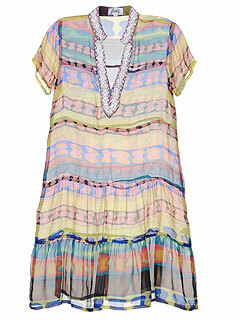 Our pick: this multi-colored version ($190) by Jode’. Everyone (even moms-to-be) need one of these in their closet. 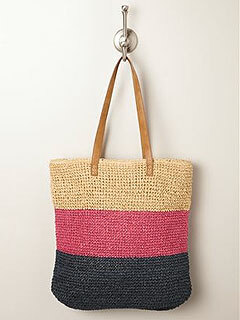 Instead of a plain style, go for one with a fun pattern like this multi-colored tote ($40). 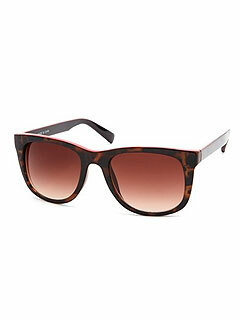 Whether you’re heading to the ocean or just hanging with your pals, these tortoise shades ($4) are the perfect way to protect your peepers. Just because you’re this comfy footwear doesn’t mean it shouldn’t be fancy. Try this studded pair ($25) from GB Gianni Bini, which comes in both silver and gold. Summer is finally here – and so begins the daily dance of protecting your little one from the sun! From sunscreens to creative cover-ups, we trolled some of our favorite online shops for some easy ways to dodge those harmful rays. As you set aside 5 minutes to lather up on sunscreen before you and your child head out the door, it helps to have some sun protection tools in your arsenal. Like California Baby‘s sun care essentials kit ($36) – complete with sunscreen, sunglasses, swimmer’s shampoo/conditioner and more – which comes in an easy to grab tote. Coppertone KIDS tear-free lotion ($11) and Seventh Generation Wee Generation baby sunscreen ($14), both of which stay active for up to 80 minutes, are perfect for tossing in the diaper bag. 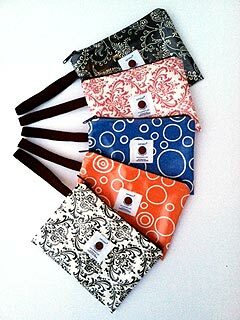 MD Moms‘s Baby Silk towelettes ($26) are vitamin-packed and ideal for rubbing on those little fingers and toes. 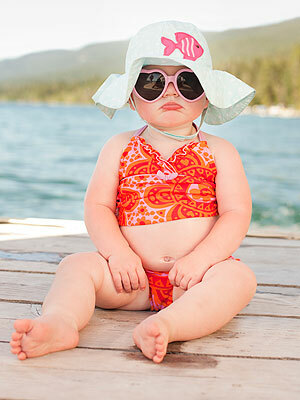 The best way to shield baby’s skin from the sun is to keep it under wraps. iPlay has rash guards ($19), sun hats ($6-$12), and water shoes ($14) that keep kids covered during water play. K&H Sun Protective Clothing‘s adorable T-Shirts ($25), developed by a dermatologist Mom, blocks out 99 percent of the sun’s harmful rays and are a necessity for kids romping around at summer camp or the park. Keep those bald baby heads hidden, too, with the Shaidee ($40), a cover that works like an umbrella on your Baby Bjorn or other baby carrier and weighs less than a smartphone. Don’t forget those baby blues! Velcro a one-size-fits-all Sassy Suds & Sun visor ($6) your child’s forehead for defense, or shield those eyes with BPA-free Babiators ($20) which block 100 percent of harmful UVA and UVB rays. Creative kiddie cabanas act as a barrier between the sun and your kids, too. Kel-Gar‘s Sun Dome ($32), with 50 UPF, folds out for instant shade for your toddler on the beach or elsewhere and comes with a convenient carry case. SwimWays Baby Spring Float Sun Canopy ($17) has a removable canopy with see-through mesh sides, which means your tots won’t miss out on any of the fun going on around them. For the baby that takes on the world by car seat, the breathable Imagine Baby Shade ($35) fastens onto your infant car seat to repel sun, water and bugs and iPlay‘s Breatheasy blanket ($18) covers those chubby legs that are often left exposed. From beachy bohemian flair to comfy casualness, Masala Baby’s adorable spring/summer collection will make you want to travel the world with your family. And to help your little ones look their best during their vacation, the brand is giving away a $200 gift certificate to shop their site to one lucky Moms & Babies reader. Hurry up and enter for your chance to win here! Online entries must be received between 12:01 a.m. Eastern Time (“ET”) on 6/17/13 and 11:59 p.m. (ET) on 6/23/13. See Official Rules. Also, make sure to join their email list at masalababy.com for updates and promotions and like them on Facebook at facebook.com/masalababynyc. During the Toronto International Film Festival this weekend, we were treated to not one, but two chic bump sightings. Although we only expected to see Kate Winslet stepping out on the red carpet in her pregnancy finery, Thandie Newton surprised us all with her baby announcement – and sleek ensemble – while supporting her new film, Half of a Yellow Sun, on Sunday. The moms-to-be – who are at very different stages in their pregnancies – each opted for looks that really flattered their growing curves. While attending the Saturday premiere of her new movie Labor Day, Winslet wore a navy empire waist silk gown by Jenny Packham and paired it with Roger Vivier’s luxe Maxi Boite de Nuit clutch. Newton, on the other hand, donned Stella McCartney‘s Wave Colorblock Sheath ($795), which perfectly accented her beginner belly. And for accessories, the actress went for the designer head-to-toe by pairing her dress with a Stella McCartney gold and black clutch and ankle-strap platform heels. Both ensembles get our thumbs up. Tell us, what you do you think of their red carpet maternity style? 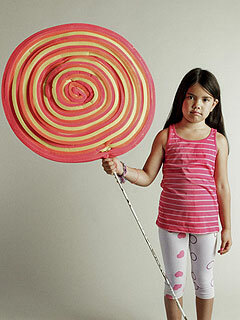 Fab Sale Roundup: GILT Kids, Zulily and More! 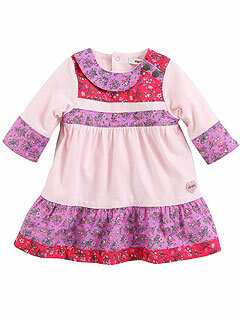 This week, GILT Baby & Kids is hosting a few fab sales worth checking out. You’ll find loads of chic toys, accessories, shoes and clothing from Rockabye (7/29), Je Suis en CP! (7/31), Belly Bandit (8/1), Danzo Diaper Bags (8/1), Mini Starfish (8/1), Phil & Teds (8/2), J.J. Cole (8/2), and more! 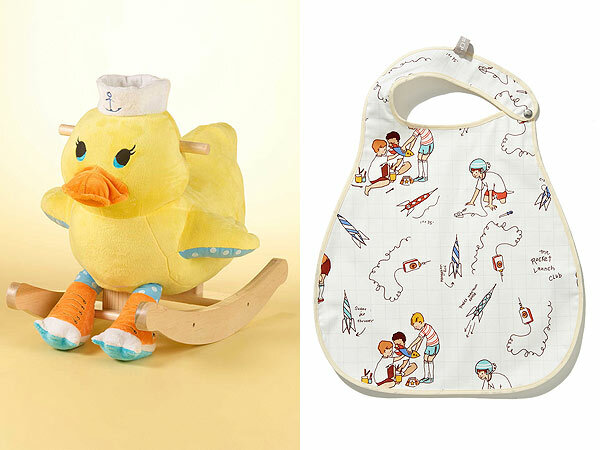 Our picks: The Rockabye Downee the Duck Rocker (now $82, originally $140) and the Je Suis en CP! Printed Bib (now $15, originally $30). Not a member of Gilt? Use our exclusive link to sign up. Isabella Oliver Everyone from Ivanka Trump and Busy Philipps are fans of this chic maternity brand. Now you can stock up on their well-made pieces during their summer sale, with savings up to 50 percent off. Jaxxwear Ready to stock up on spring/summer pieces for your tot? Check out the too-cute (and well-made!) selection from this kid’s clothing company. Right now, they’re offering Moms & Babies an exclusive 20 percent off discount. Just enter code: people at checkout. Lalalounger This unique children’s lounger starts out as a comfy resting place for your infant and then eventually transforms into a cushion for older kids to rest. Talk about functional! Plus it’s available in loads of fun prints. Get 10 percent off any order over $75 when you enter PEOPLELALA at checkout. Little Skye Boutique This full service online children’s clothing boutique is hosting their “Summer Savings Event” with up to 20 percent off a vast array of designers including Joah Love, Lemon Loves Lime, Little Wings among others. Now is your time to stock up on the latest summer fashions. Melijoe Love kids designer brands? You’ll find everything Chlo and Scotch & Soda to Petit Bateau and Marc Jacobs at this luxe kids e-boutique. And right now, they’re having a sale (up to 50 percent off!) on some of their covetable goods. Our pick: This mixed print percale dress by Kenzo Kids (now $44, originally $88). 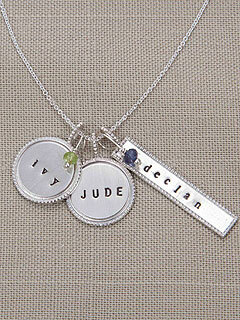 Nameberry We can’t think of a better way to celebrate your little ones than with personalized jewelry. That’s why we’re loving the vintage-style necklaces found at this online boutique. 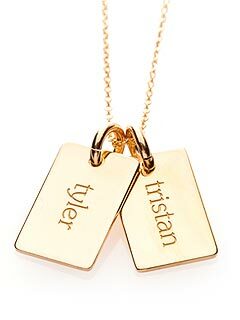 Right now, they’re offering a 20 percent off discount off all their name necklaces. Just enter code: deserve at checkout. 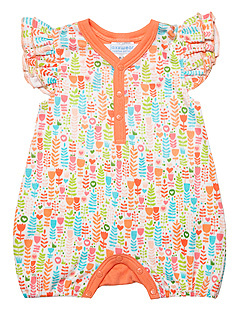 Oilily It’s not often we find a kids brand that’s both well-made and adorable. But Oilily nails it with their cutesy, yet wearable clothing. At up to 40 percent off, you can add a few pieces from their bright and adorable World of Wonder collection without breaking the bank. Patemm We’re big fans of their stylish (and handy!) changing mats, so we were happy to hear they’ve launched a new collection for parents including an iPad Soft cover ($40), perfect pouch ($24), pitaka purse ($18) and multi-purpose pouch ($22). Polka Dot What Cute leggings are a staple of any girl’s wardrobe. 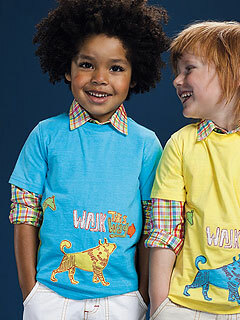 And we’re loving this company’s adorable versions especially since you can design them yourself. The cool stripes style (now $24) is available in any color combo you want. Tea Collection It’s time to stock up on this brand’s adorable children’s clothing. 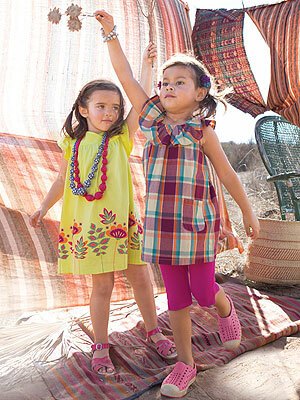 Not only are they well-made, but they’re perfect for stylish kids on the go. And right now, they’re hosting their semi-annual sale featuring really great deals (some dresses are below $20!) on everything from polo shirts and swimsuits to kimono-style PJ’s. Tiny Tags We love this company’s personalized mommy jewelry (we have the 2 Tag Initial Necklace!) – it’s a great way to show love for your little ones. Currently, they’re giving Moms & Babies readers an exclusive discount. When you enter code: TT0513, you’ll receive 10 percent off your order. Zulily With over 10 million members, this daily deals site continues to feature the most coveted brands for moms, babies and kids. Not yet a member? It’s free and signing up is fast and easy. Once you’re a member, you’ll be the first to know about the site’s amazing offerings. As if we weren’t already jealous of her style (and amazing post-kids body! ), Gwyneth Paltrow has partnered with model pal Liya Kebede‘s clothing line lemlem for an exclusive collection of mommy-and-me tunics and accessories that is the epitome of summertime chic. Sold exclusively on Paltrow’s lifestyle blog Goop, the pieces are covered with bright neon stripes perfect for the beach or a family barbecue. Plus, they’re made with lightweight cotton handcrafted in Ethiopia that is so soft it already has a lived-in feel. The collection includes the Women’s Gigi Smock Top ($213), the Kids Gigi Smock Top ($100), the reversible Lala everyday bag ($175) and the light Ishi Scarf ($140). 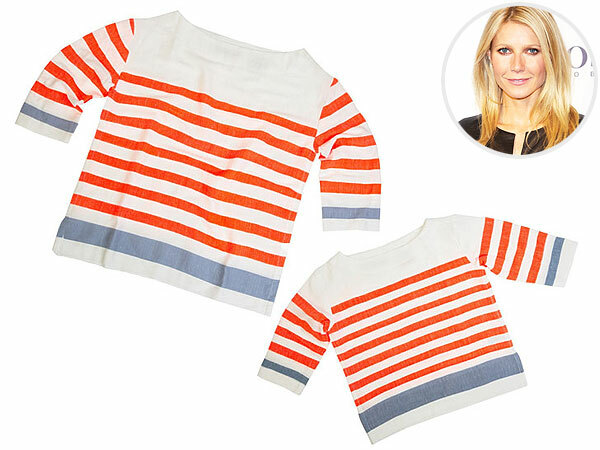 Since Gwyneth usually practices what she preaches on her blog, we bet we’ll see the actress and daughter Apple sporting these pretty tops on vacation soon.